343-47, 1908 1c-5c Imperfs., very well centered top or bottom imprint and plate no. 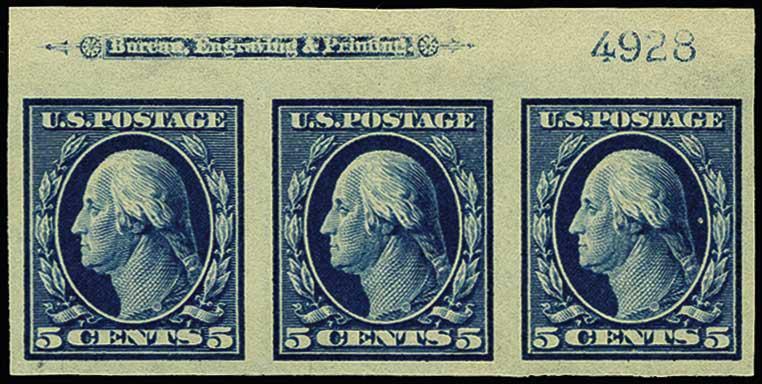 strips of three, o.g., several individual singles NH, Extremely Fine. (Scott $266 as singles).